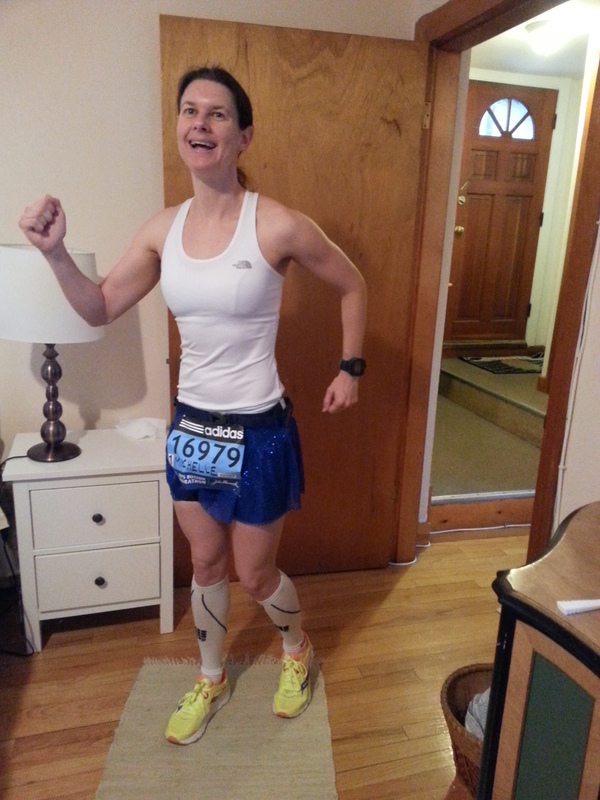 This entry was posted in Race Reports and tagged Boston Marathon, marathon, race report, Runner, Running by MichelleK. Bookmark the permalink. 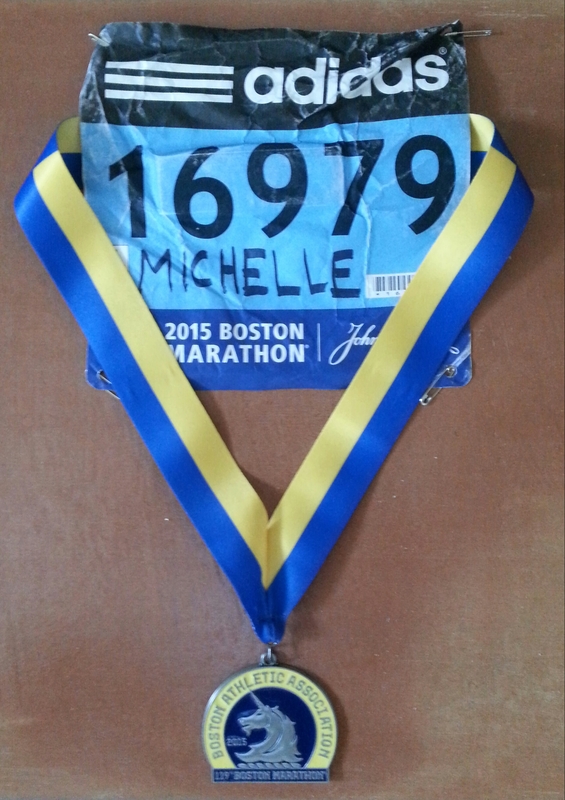 Congratulations on truly toughing it out, Michelle! It was meant to be that you couldn’t reach your bf’s parents at the half way mark :). Hope you get some much needed recovery! I had a couple of surprisingly good swims last week. I’ve been out of the water for a while, so I wasn’t expecting it. Also I have a feeling we were in close proximity of each other at some point- I finished around 5pm. I’d like to think we gave each other positive energy to keep going! We probably were close by at some point. What a day for both of us! Congratulations! What an ordeal… I’ll bet that was the best hot bath ever. Wow, Michelle! That’s quite a story! And I’m so proud of you for finishing. I’m not sure if I would’ve have the strength (actually, I KNOW I wouldn’t have, haha). Seriously, congrats. You’re amazing! Aw, thanks. It’s a great race and atmosphere indeed. My bf’s dad said he was kind of inspired to try and qualify after watching it. That’s awesome! 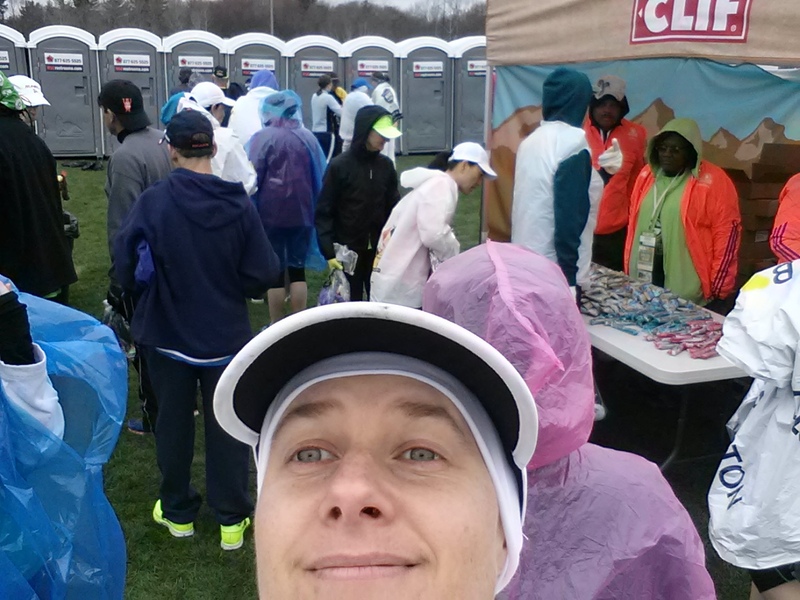 The farthest I’ve ever run is a half marathon, and I swore I’d never run that far again…and I won’t, lol. 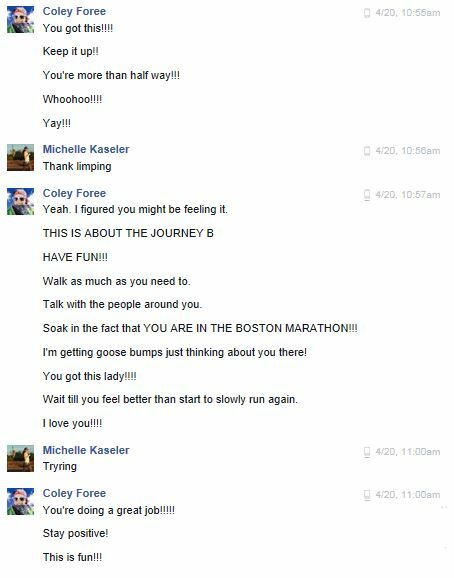 But I’d love to be in Boston someday to witness this race from the sidelines. It sounds so cool! I just found this — great race report!! Congratulations on toughing it out. The weather wasn’t exactly perfect, but it sounds like you had a great experience, nonetheless (in hindsight, anyway… right? 🙂 ). It was an experience all right 🙂 Glad I went, got the medal, and got to soak it in (in more ways than one…).